Why we love this pic: This pared-back bathroom design featuring soft organic accents and fresh white walls is the perfect setting for patterned tile to make a splash. But it's that geometric chandelier that perfectly completes the look, adding movement and texture from above to complement the lively tile below. 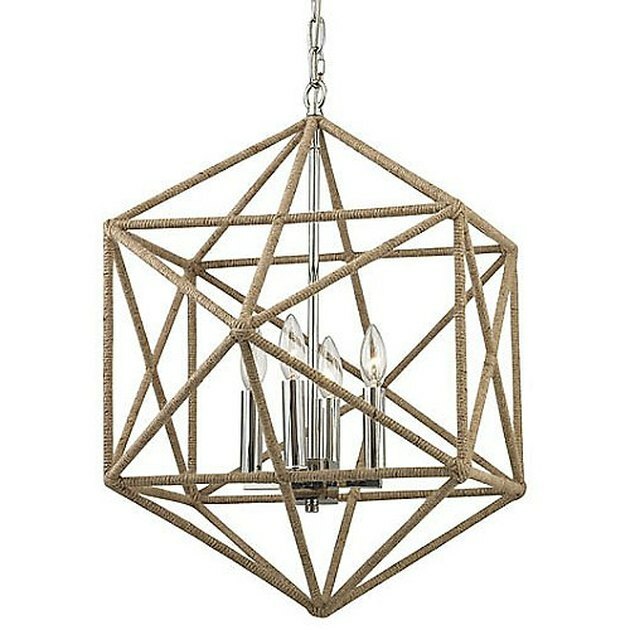 The takeaway: Add texture and intrigue to a simple bathroom with a geometric chandelier.